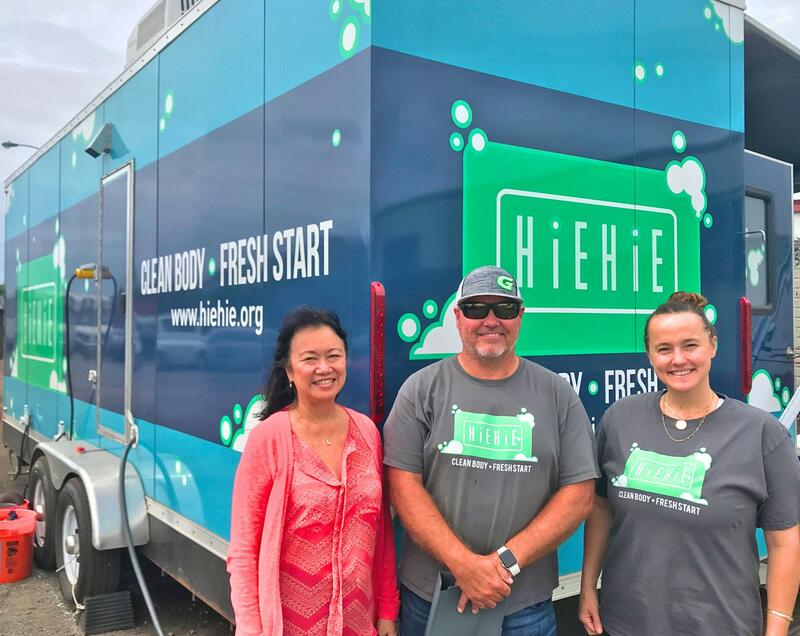 (L-R) Connie Mitchell, Executive Director of the Institute for Human Services; Scott Stamps, Hiehie Mobile Hygiene Center Operator; and Annie Valentin, Executive Director of Project Vision. 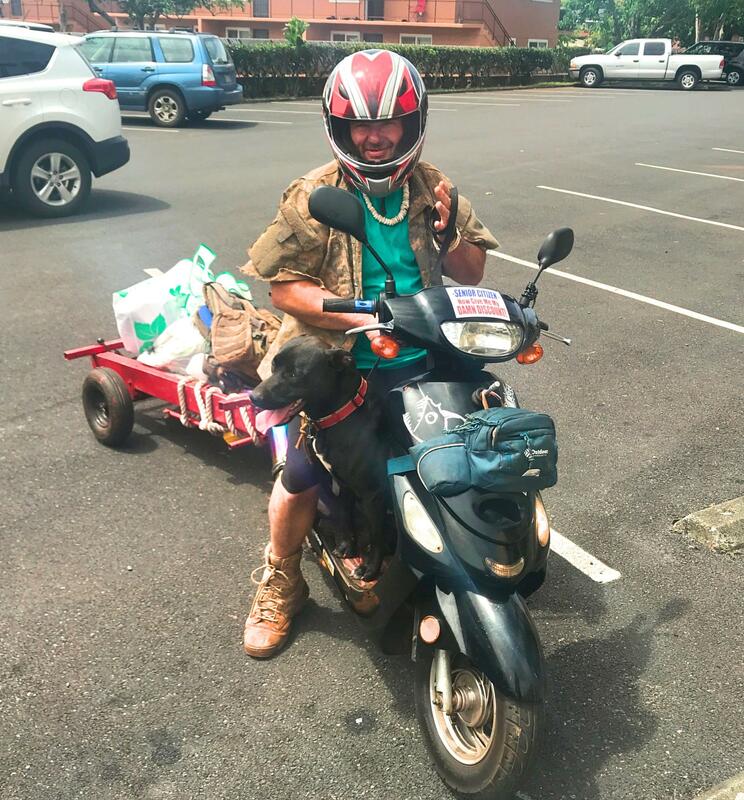 When a 68-year-old homeless man named Ray came across the Hiehie Mobile Hygiene trailer parked off California Avenue in Wahiawa, he didn’t know what to expect. Fifteen minutes later, Ray choked back tears after realizing the simple joy of a hot shower. 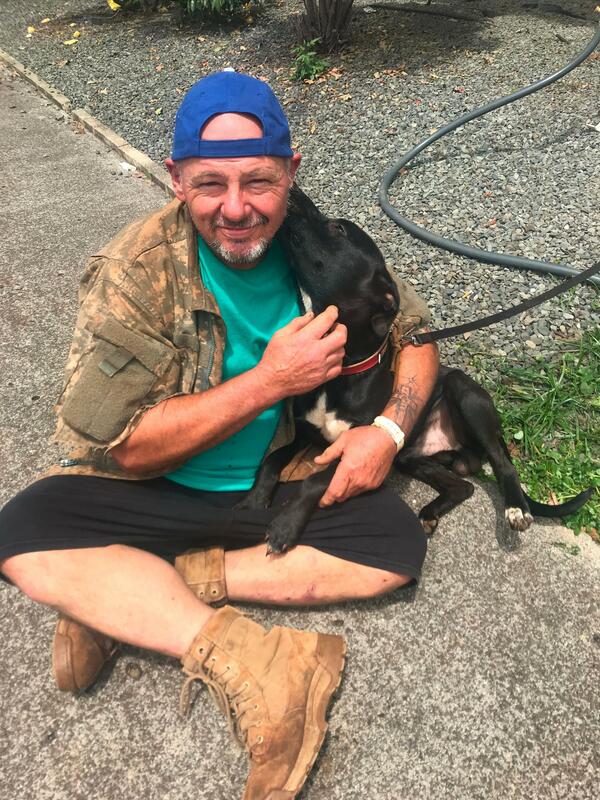 Ray, a homeless man from Wahiawa, poses with his dog after receiving the first, hot shower he's had in years. 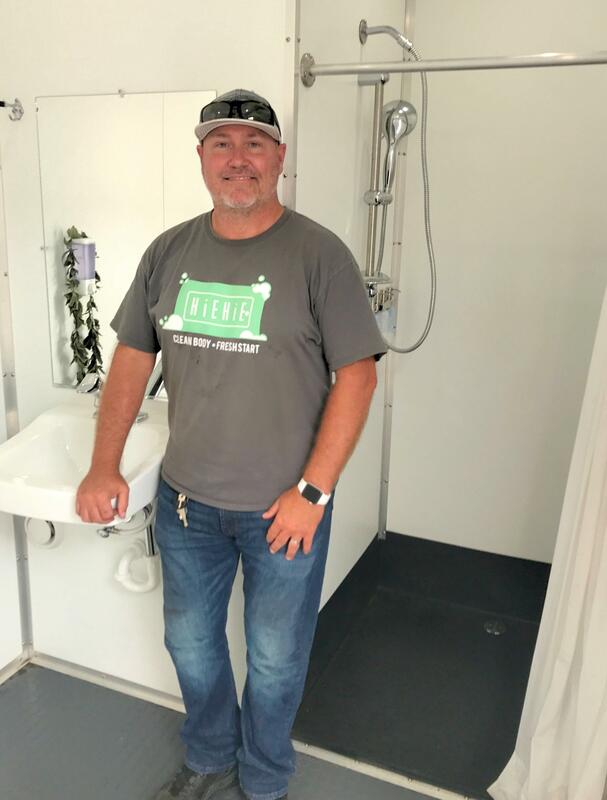 Scott Stamps operates the Hiehie Mobile Hygiene Center for Project Vision. “So you can go on in. So its a fully hot shower. We provide shampoo, conditioner, and body wash...” says Scott Stamps. 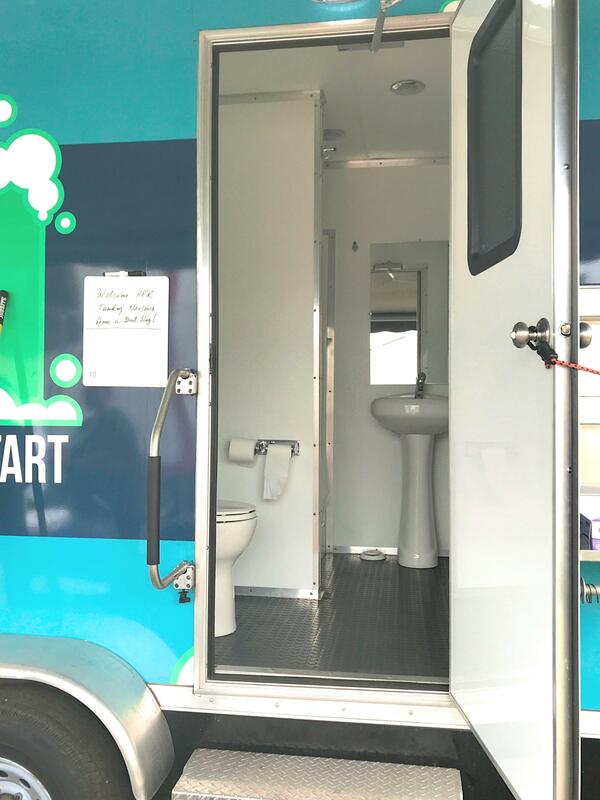 One of three full bathroom units in the Hiehie Mobile Hygiene Center. Stamps operates the 26-foot trailer, which includes propane tanks to heat the water and solar-powered lights and fans. 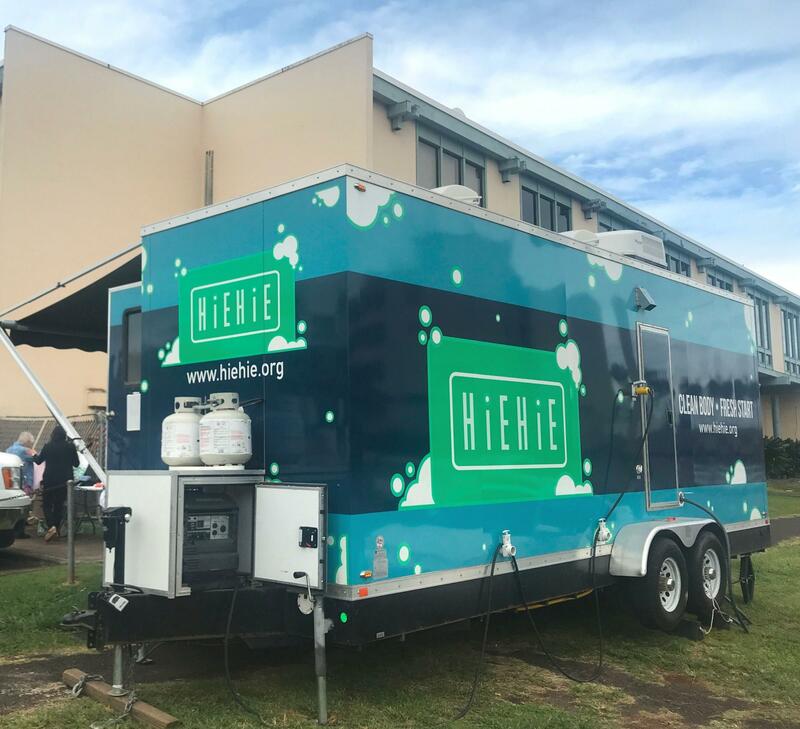 Hiehie can accommodate anywhere from 15 to 20 showers a day before Stamps dumps the waste at the wastewater facilities in Pearl City. 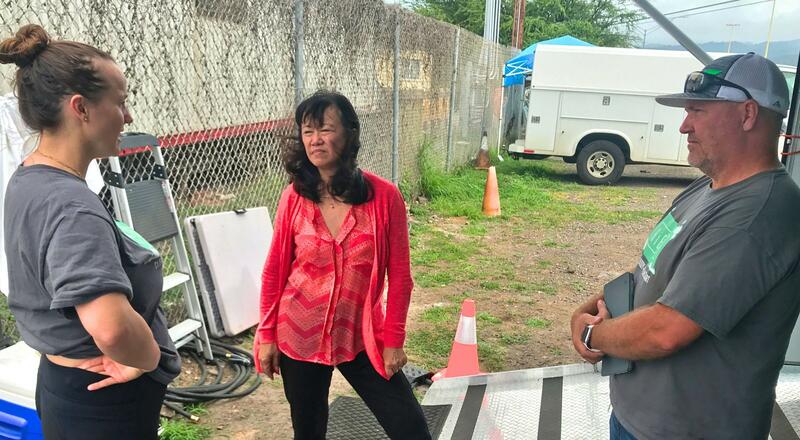 The Hiehie trailer has been making its way around the island of Oʻahu for nearly a month and is coming up on its hundredth shower any day now. 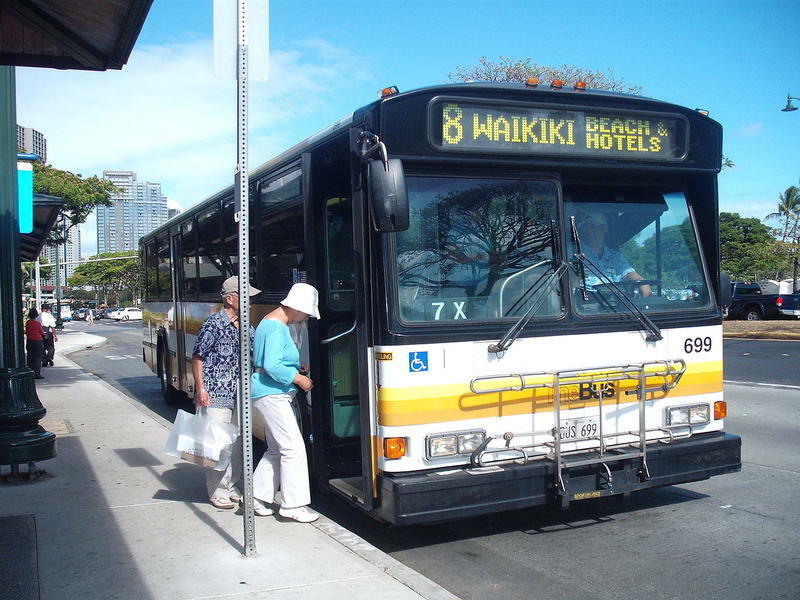 Valentin, Mitchell, and Stamps, discuss further opportunities to bring Hiehie services to areas where homeless service providers are already operating on O'ahu. 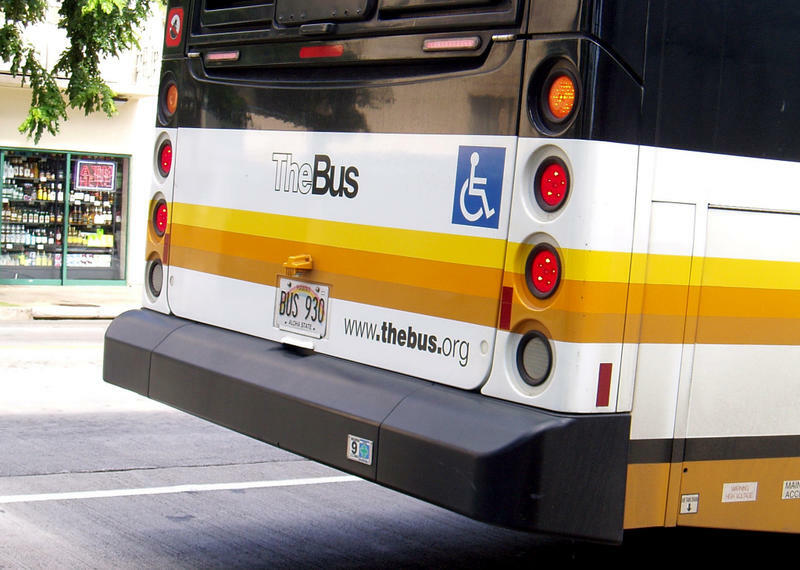 A hot shower is hard to come by for Oʻahu’s homeless population, says Connie Mitchell, Executive Director of the Institute for Human Services. 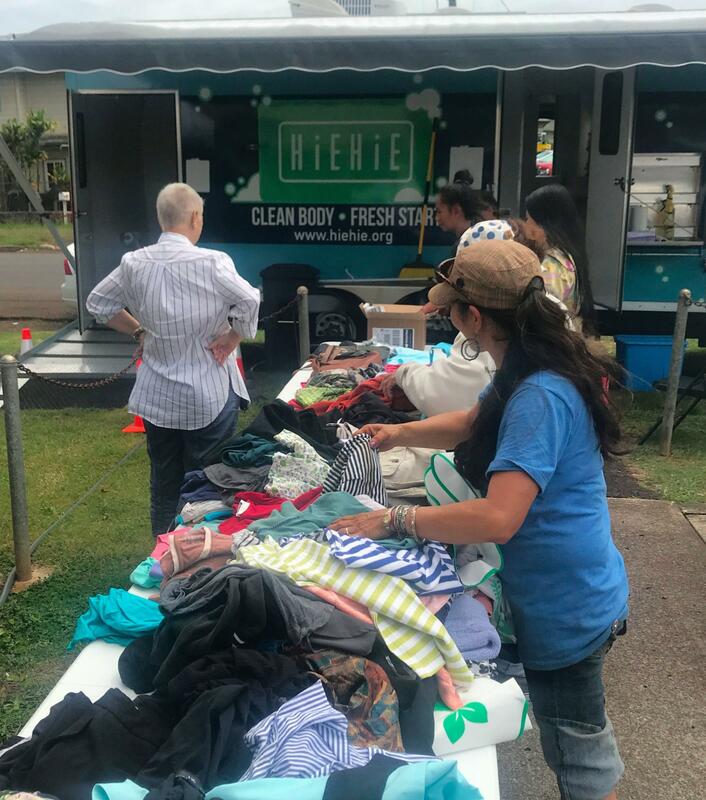 Donated clothes and shoes were laid out near the Hiehie Mobile Hygiene Center during their visit in Wahiawa. Several homeless individuals came by to take home clothes but did not utilize the hygiene services offered. Annie Valentin is the Executive Director of Project Vision, and helped spearhead the project. She says Hiehie can help reduce infections and disease, while at the same time helping to keep streets clear of human feces and urine. But most importantly. 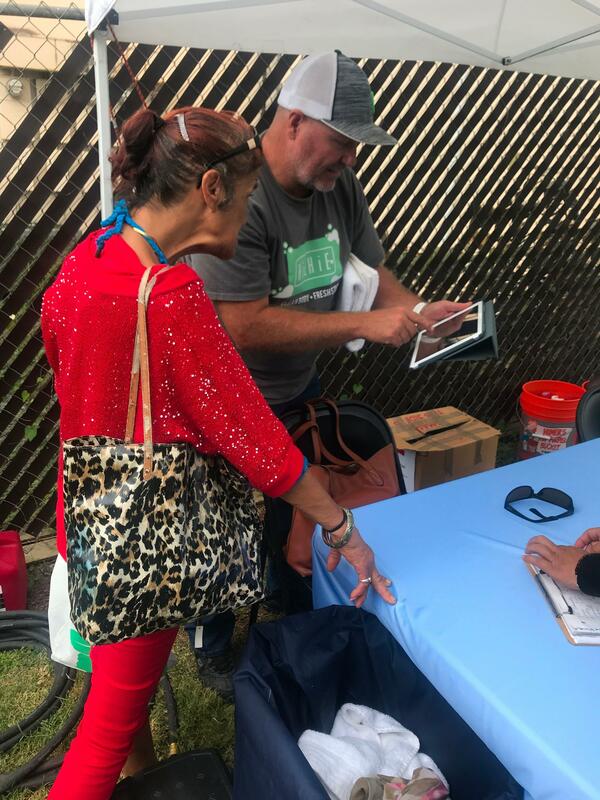 Stamps collects data from a homeless woman named Darlene before she takes a hot shower in the Hiehie Mobile Hygiene Center. 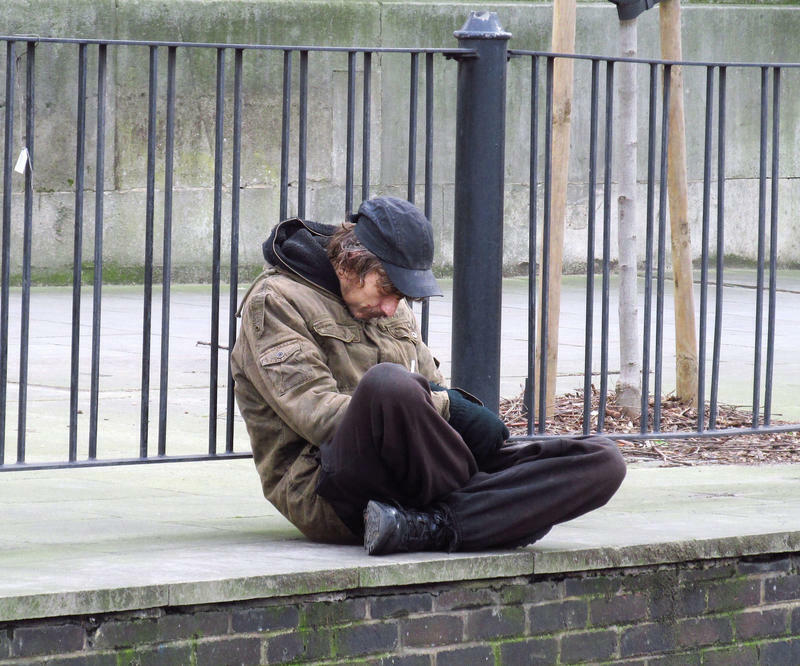 Data collection for the Hiehie Project will help address the homelessness challenges facing our community. Through partnerships and donations, Project Vision raised $150,000 for the trailer. The organization already runs four mobile clinics statewide providing outreach services that started with vision care. Valentin plans to expand Hiehie’s services to other counties.